As part of our new extensive range of armchairs, comes the foundry chair. 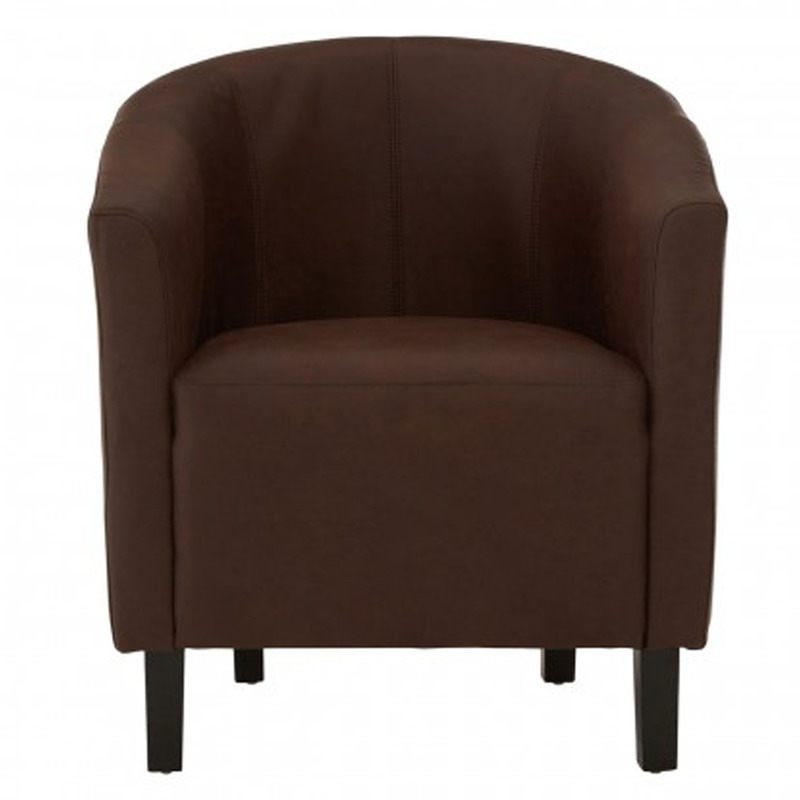 The chair is in a lovely shade of brown and is complete with; decorative stitching, cushioned seat, subtle angled backrest, comfortable seating position, dark brown leather effect material, smooth texture, which is all supported by 4 high-quality hevea wood legs. This is the perfect addition for your lounge and living room.